Gentle, Restorative, and Beginner classes are included (and encouraged) in the September Foundation Course. Join Morning Glory Yoga and Starr Ave Music Co.
Sunday, September 2 for a unique collaborative event: Yoga with Drumming. 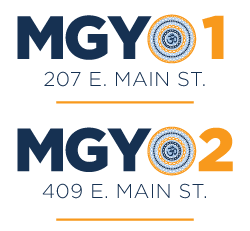 MGY instructor, Arrie Tucker, will lead an all-levels yoga practice including light stretches and movements to help facilitate mind-body awareness while Casey “Muze” Williams of Starr Avenue Co., will provide drum accompaniment. The therapeutic effects of drumming and somatic practices include releasing held emotions, processing adverse experiences, and feeling more connected to oneself and their environment. This event has the potential to be a powerful transformative experience and, more importantly, fun! Class size is limited so register online today and reserve your place! *preregistration is recommended and appreciated but cash or check payments will be accepted at the door day of the event (space allowing). From Longview, TX is a licensed chemical dependency counselor who specializes in the use of music and movement. He is the founder of Starr Avenue Music Co. which organizes community-based arts events in and around Nacogdoches. Casey can be reached at starravenueco@yahoo.com. A Nacogdoches native teaches yoga and meditation in Nacogdoches. In addition to yoga, Arrie specializes in transpersonal, somatic, and ecopsychology. We will start with 1/2 hour warming up the body with sun-salutations and standing poses. Then we will slow the yoga down to the point that students feel the body pulling their attention deeper, ever deeper into a world of subtle sensations and pleasure. Learn how to use physical exercise and breath control to slow the mind down from beta frequencies (associated with muscle tension and worrying) down into Alpha and Theta frequencies (associated with physical relaxation, creativity, and a profound sense of well being). 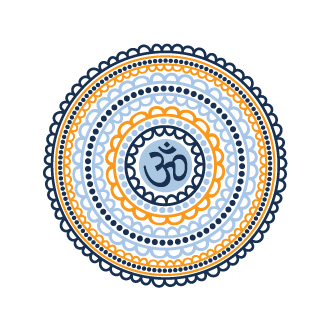 Learn to practice Hatha Yoga as a form of meditation and experience the amazing stillness and timeless quality of mind that comes from Lucid Yoga. This workshop will explore some basic principles of twists, and then apply them to a large assortment of twisting poses, from the easy to the challenging. We will include work on reclining and seated twists, then move on to standing twists, and if there is the time we will address partner twists. All levels of experience are welcome. However, this class may not be suitable for those with serious injuries to the spine. This workshop will give you the opportunity to discover for yourself whether you have good breathing habits, and to improve your breathing and thus improve your overall physical, mental and emotional health. Learn specific breathing techniques that: reduce allergies; reduce risks of colds and flu; help control emotions; relax muscles; improve the health of the heart, lungs, & abdominal organs; purify the blood; rest the mind more effectively than sleep; expand lung capacity; balance energy flow throughout the body; and more. This is a more advanced workshop on Pranayama (breath control). It is for students who have attended the Science of Breath or already have a basic understanding of the anatomy and mechanics of breath and have good diaphragmatic breathing habits established. In this workshop, we will learn and practice a variety of more advanced and exotic breathing patterns and exercises from the ancient yogic traditions. This hour-long class will include a short mindfulness practice as well as an introduction to the ecopsychological implications of the shift in season, then a nature-based meditation practice. All skill levels are encouraged to attend! Bring your own cushion if you have one if not a limited number will be available.